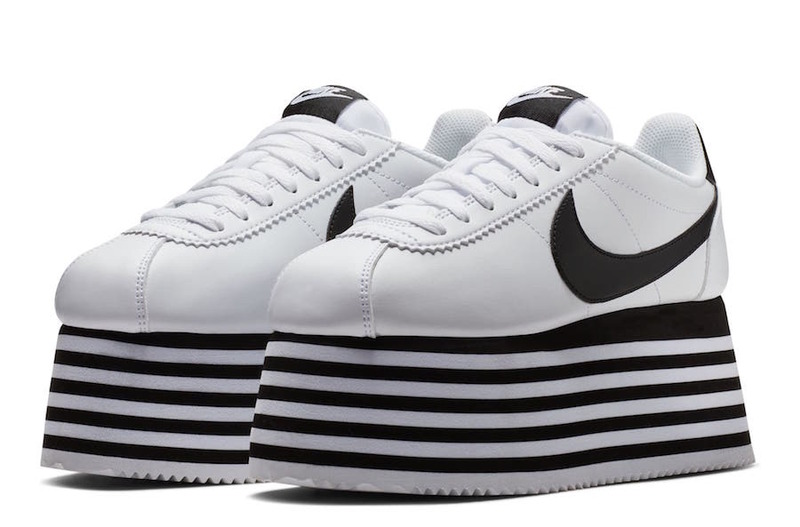 Comme des Garçons first debuted their Nike Cortez collaboration during Paris Fashion Week in March. Now the collection is set to make its debut during the holiday season. The women’s exclusive Comme des Garçons x Nike Cortez features a White leather upper with Black detailing on the Swoosh logo, tongue, and heel. Other details includes mismatched CDG branded insoles atop a platform-styled rubber sole. Look for the Comme des Garçons x Nike Cortez to release later this year at select Nike Sportswear retailers and Nike.com. There will also be a Black/White pair releasing as well.